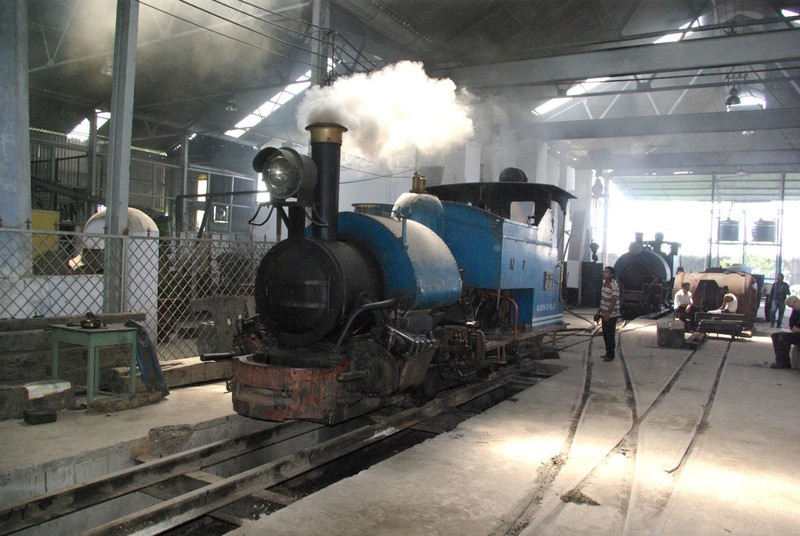 The Darjeeling Himalayan Railway Society UK (DHRS) has won a prestigious competition for the best heritage railway project of 2012. The award was sponsored by Steam Railway Magazine – the UK’s top-selling steam railway title with a circulation of over 32,000. Voting was by Steam Railway’s readers and the DHRS bid triumphed over 15 other high-quality entries. The award recognises the Society’s work in improving the reliability and performance of the world-famous ‘B’ Class steam locomotives on the DHR. The request for help was made by Indian Railways in early 2011. Between mid-2011 and early 2012 Engineering Director, David Mead, and steam engineer, Mike Weedon, made three DHRS-funded trips to the DHR’s Tindharia Works. With the willing assistance of local staff they were able to achieve significant improvements in the efficiency of two locomotives, as well as assisting with skills training and a review of workshop procedures. Indian Railways has expressed its sincere gratitude for the work done and is keen to have a continuing fully-funded engineering relationship with the DHRS. Work is in progress on taking this forward. In the meantime, congratulations on the award have come from many DHRS friends and partners in India including the General Manager, Northeast Frontier Railway (directly responsible for the DHR) Mr R S Virdi and the Executive Director, Heritage (Railway HQ Delhi) Mr Manu Goel. The award ceremony took place on 9 February 2013 at the Union Jack Club, London at the AGM Dinner of the Heritage Railway Association (HRA) - the professional body for heritage railways in Britain, and in the presence of distinguished guests including Sir Peter Hendy CBE, Commissioner of Transport for London.